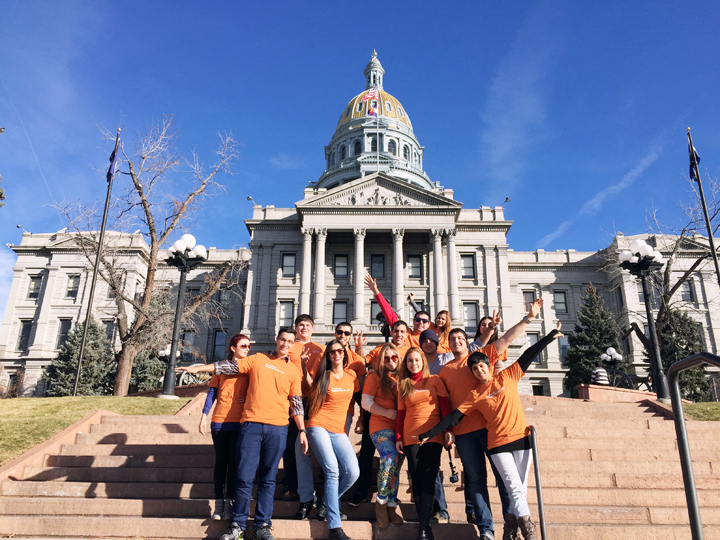 This winter, a group of InterExchange Work & Travel USA participants from South America enjoyed a guided tour of the Colorado State Capitol building, the home of the Colorado Legislature. 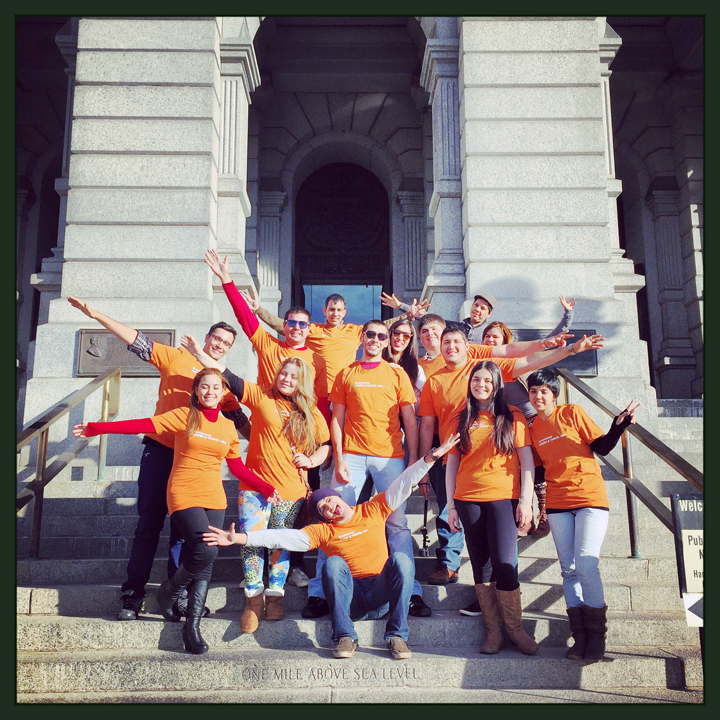 The cultural event took place after an arrival orientation hosted by InterExchange in Denver. 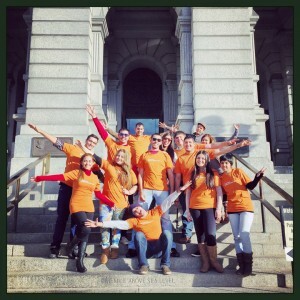 During an hour-long visit, participants learned about Colorado history and the details of the capitol's construction. It was interesting to learn that most of the materials used during construction were produced locally. The tour guide also explained the meaning and symbolism of the Colorado state flag and the seal. After taking pictures of the Women's Gold Tapestry, the group visited the the Old Supreme Court Room, the House of Representatives Office, the Senate Room and the House Leadership Office. The Colorado State Capitol building sits at exactly one mile above sea level. 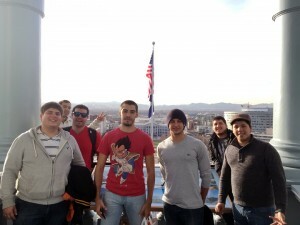 Our group took a picture on the western entrance's 15th step, which has the famous inscription "One Mile Above Sea Level." Another highlight of the tour was enjoying a marvelous view of the city and the Rocky mountains from the highest point - the dome of the Colorado State Capitol!